One of Rizal's pride is having the Daranak Falls (in Tanay). 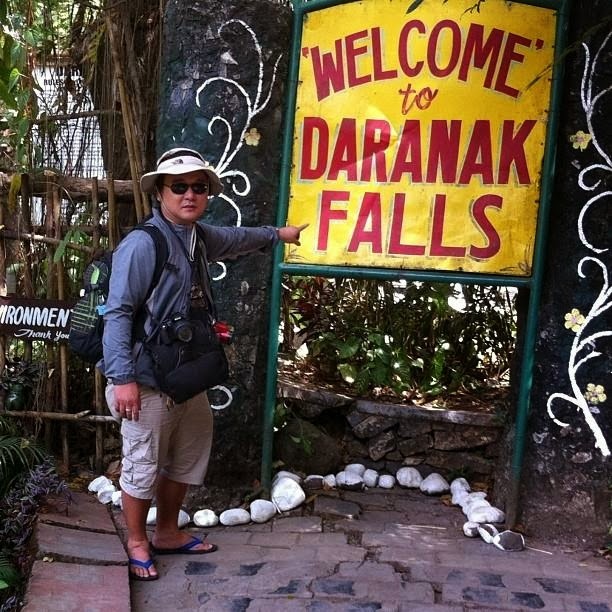 But Tanay, the Home of Rock Balancing, has many tourist spots to offer aside from the falls such as the Tanay Church, Grotto, Regina Rica, Parola, Kinabuan Falls, Masungi Rock Formation, Daraitan River, Calinawan Cave, and Tinipak Rock Formation. But Daranak Falls was my sole destination that day. From Manila, either ride the LRT or jeepney to Santolan and then ride the jeepney or van to Antipolo (fare is P22.00 and travel time is 45 minutes) and alight at Shopwise. From Antipolo, ride another jeepney to Tanay. The fare is P28.00 and travel time is more or less an hour. Then, alight at the public market of Tanay and then hire a tricycle for P300. 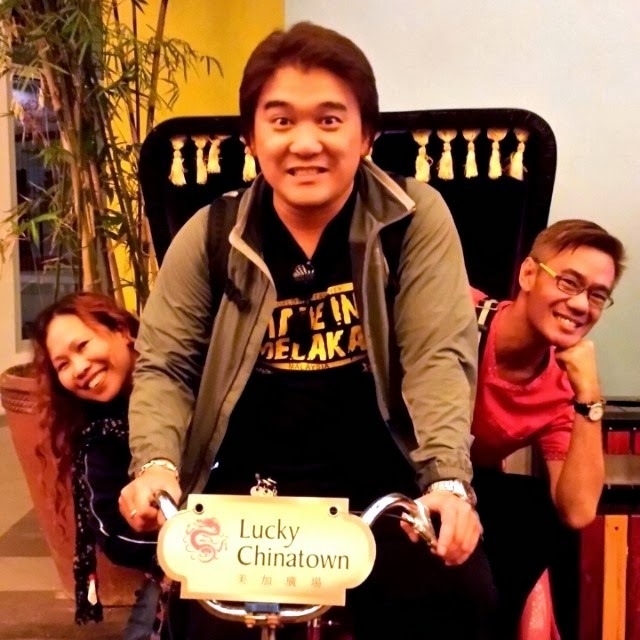 You can also opt to ride the jeepney to to the site and then alight at the road towards Daranak and then hire a tricycle there but it is difficult to get one once you are there. From the town proper, it took me 30 minutes to reach the spot using the chartered tricycle. The road leading towards the falls is slippery due to the numerous presence of small rocks and pebbles. There are actually two falls in the site and I also took a picture of the other falls. And the other falls is the famous Daranak Falls! And while inside, I also witnessed what Tanay is known for - Balancing of Rocks!! After one hour inside Daranak Falls, I decided to go back to town. Along the way, I saw the path leading to Calinawan Cave. 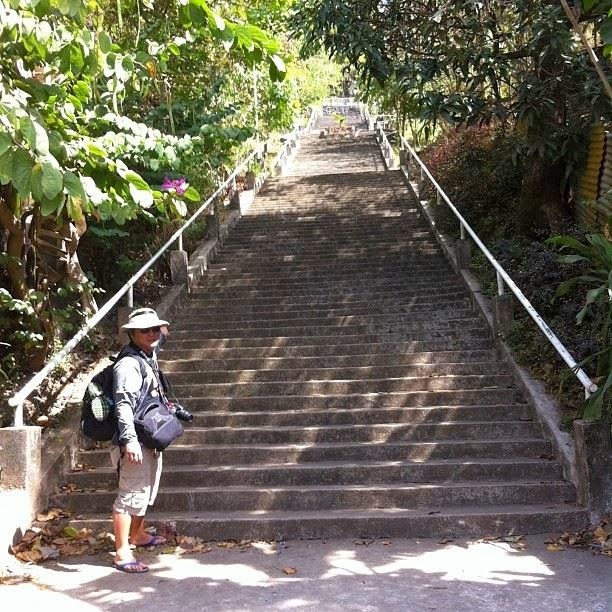 It was not part of the itinerary that day and I decided to see it on my next trip to Tanay. I also passed by the road leading to Grotto. But I simply cannot resist going to the light house. I have seen so many lighthouses in the Philippines and this "parola" or lighthouse is a must-see eventhough it was not part of the plan that day. Last stop for the day was the Tanay church. I paid the tricycle ride for P400 and every cent of it was worth it. 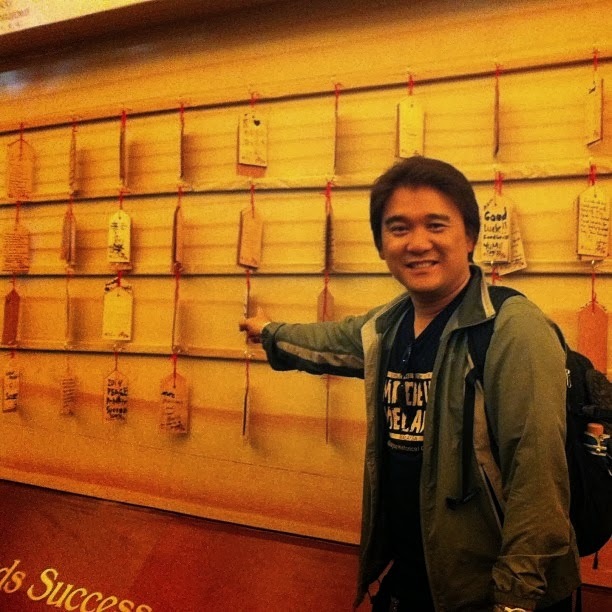 My guide/driver that day was Mr. JR Amaro (0916-828-0768). It's really Fun in Rizal! The province of Laguna is blessed with having so many lakes and falls. 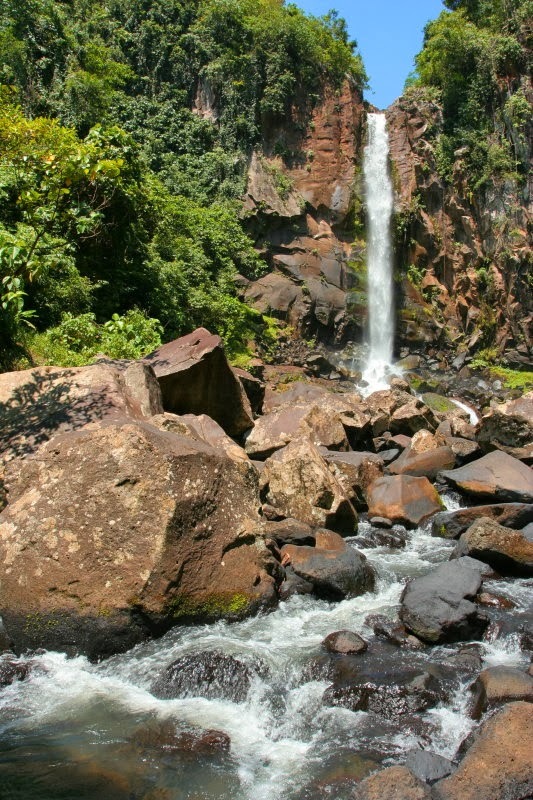 And Pangil is one of the blessed municipalities having the famous Ambon-Ambon falls. From Manila or Cubao, board a bus en route to Sta. Cruz, Laguna. The bus ride is good for more or less three hours depending on the traffic in Los Banos. Alight in Sta. Cruz, then ride a jeepney to Siniloan. The trip is more than an hour and the fare is P44.00. Alight at Natividad, Pangil Eco-Park, then ride a tricycle towards the park. Fare is P25.00 only. Should you decide not to camp, there are a lot of lodging facilities outside the eco-park like Ligaya lodge and Lovely Lodge. Rates are P300 - 12 hours (not aircon); P400 12 hours (not aircon with TV); and P700 (aircon with TV and wifi). 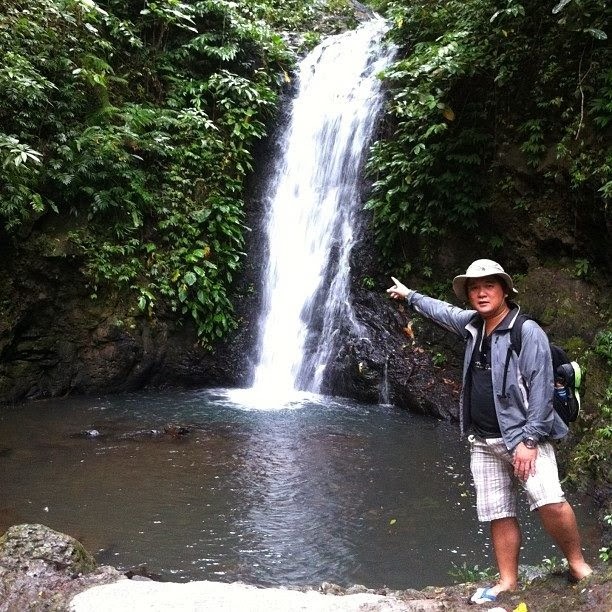 The best part of the eco-park is the the trek to Ambon-Ambon Falls. I paid P360 for the trek and every cent is worth it. The first part of the trek is passing the Biak-na-Bato (literally, the huge rock is divided into two pieces). The best part of the trek is riding the bamboo rafts. 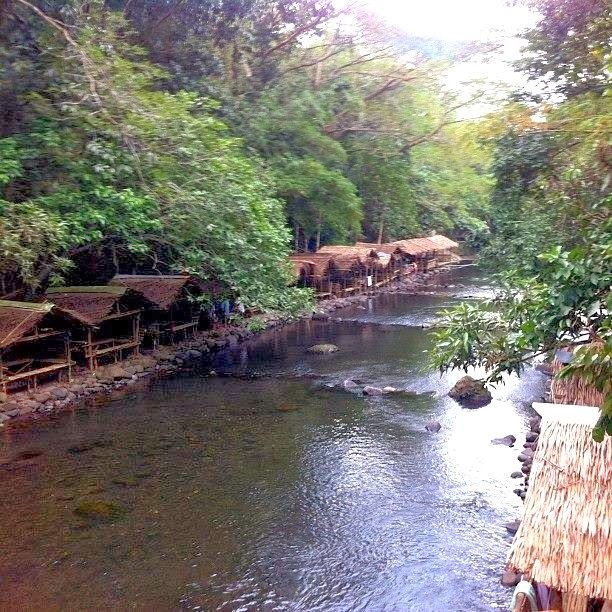 There are a total of 3 bamboo rafts and this experience is simply the best! The guide/boatman will maneuver the bamboo raft in the river and you will definitely enjoy this one! I remember my tour in Pagsanjan falls while onboard the raft. Then, we walked again towards the second raft. One has to be careful while walking the river. The rocks are slippery and if you lose your balance, then everything gets wet (even your gadgets!). And the last raft was near the falls and we boarded the last one. Finally, the main attraction was reached after 30 minutes of trekking. The reason why it was called Ambon-Ambon Falls is because it is really raining in the falls because the water from the falls is hitting the huge rocks which causes the rain effect. The adventure did not stop at the falls. I had to do river tubing! However, I missed the opportunity of doing camping in the eco-park. I will be back in my next travel. Another thing that I missed is going to the so-called Buntot Palos Falls or Hidden Falls. I promised myself that I will be back! It's really More Fun in Laguna!! I have seen so many water falls in the Philippines but I had to see the falls in Rizal and Laguna. Once you see one, you simply cannot get enough of it and you crave for more! From Manila or Cubao, board a bus going to Sta. Cruz. The bus ride is more or less 3 hours depending on the traffic in Los Banos. From Sta. Cruz, ride a jeepney to Siniloan and alight at the Kalayaan town proper. Then, go to St. John, the Evangelist Church (the jump-off point) and trek the path towards the falls. The trek is good for 10 minutes and it is an uphill climb. Initially, I was expecting only one water falls. But I was told by the locals that there are so many falls in the vicinity. The last time I saw so many falls was in Lake Sebu. And because of that information, I got excited and hurried my way towards the falls. The first falls can be seen at the entrance. It was a sight! A sight you should see for yourself. The second falls is part of the twin falls but it is not that tall. The third falls is the source of water of the man-made swimming pool. The fourth falls needs a little ascending trek. My personal favorite is the fifth falls because it is the tallest and it has a cave. 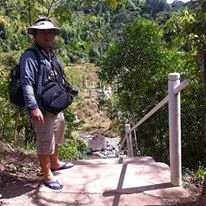 According to my guide, Nilo (0916-596-9523), that aside from the five falls, there are other falls which are hidden and can be reached after hours of trekking. After knowing the information, I told myself that I will explore it the next time I am with my travel buddies. After 2 hours in Twin Falls, since weather was not good that day, I decided to go home to Batangas. It's really fun in Laguna! This is one of those days that you simply cannot forget. It was a very busy day. I had so many things to do that day. I attended five classes in FEU. Then, attended the meeting of the University Comelec. Afterwards, watched the FEU concert until 10:30 pm. 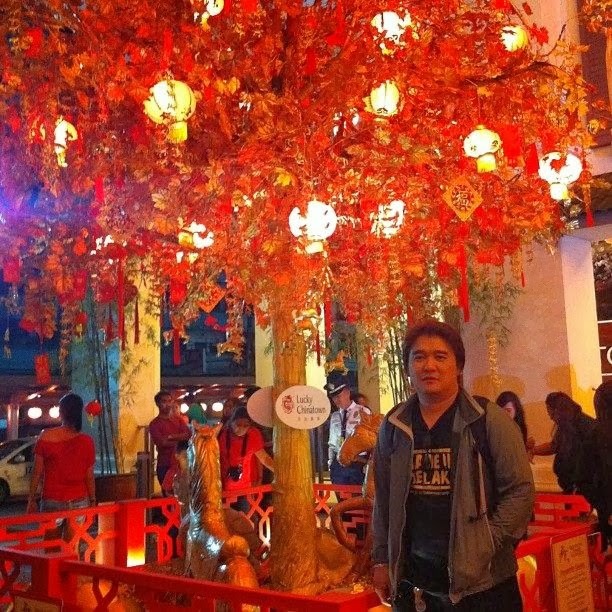 And finally went to Binondo, Manila for the Chinese New Year. 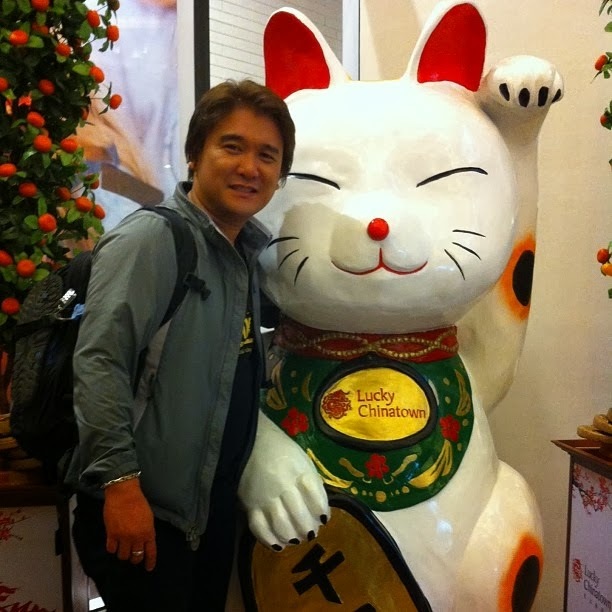 Going to Binondo to witness the Chinese New Year was not part of things to do for that day. 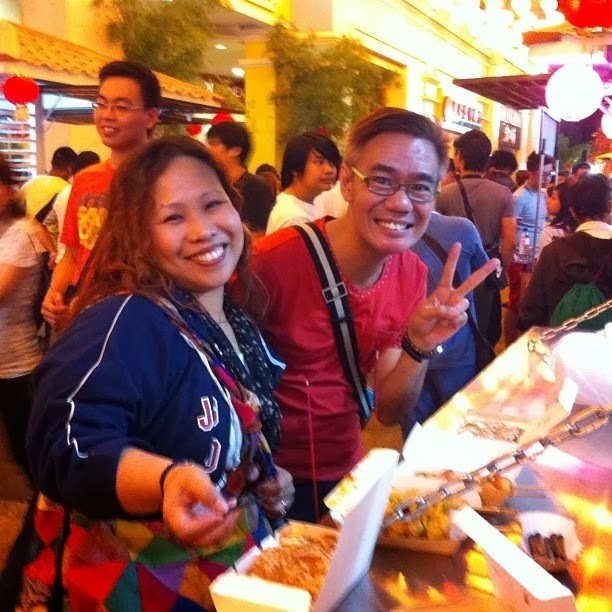 But my buddies, Ma'am Batin and Sir Jerry Apolonio insisted that we had to go to Binondo for the Chinese New Year. And we did! 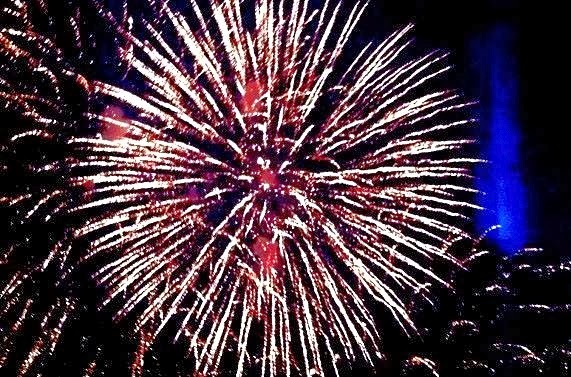 We went to Lucky Chinatown and stayed there for 2 hours and witnessed the fireworks display! 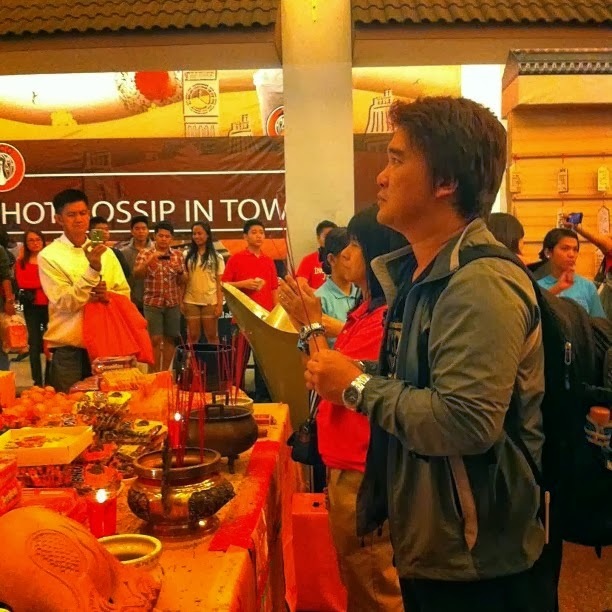 We enjoyed the food, the crowd and the rituals. We were lucky we went to Lucky Chinatown because the City of Manila allowed only the fireworks display at Lucky Chinatown. 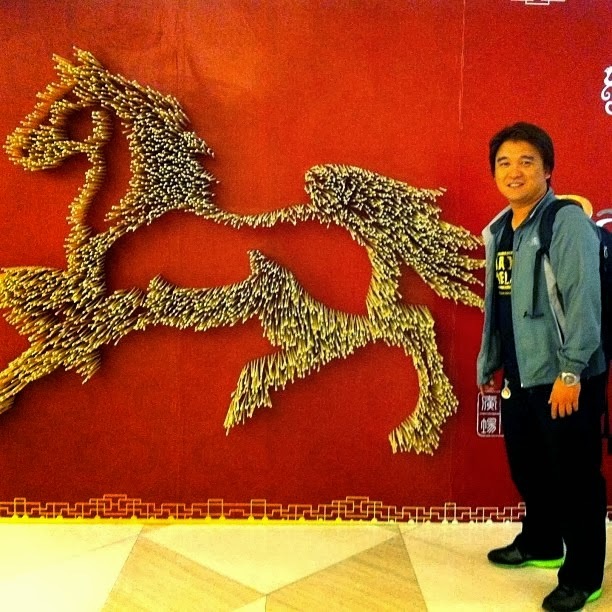 In order to get good fortune and luck for the year of the Wooden Horse, we participated in some of the 10 Chinese lucky rituals at Lucky Chinatown. For two hours we enjoyed the night and spent time not doing election work. Usually, the only reason why we are together is for election-related problems. 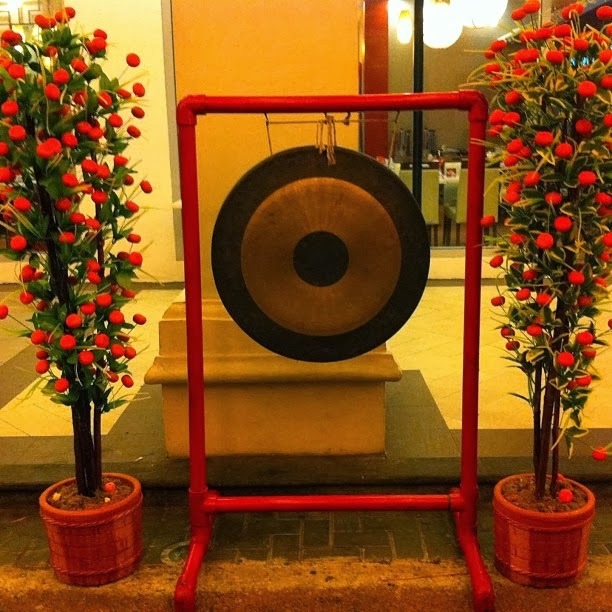 But this night was the night to celebrate the Chinese New Year and have fun! Thank you Ma'am Batin and Sir Jerry! I had fun!